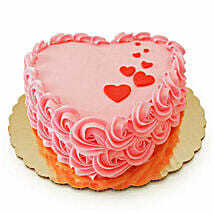 Valentine’s Day is the supreme day of love and romance. So, you must express your heart’s love to that very special person in your life. Maybe you just admire that person and love him/her secretly. This Valentines 2019, let those secret feelings come out and experience the magical world of love. 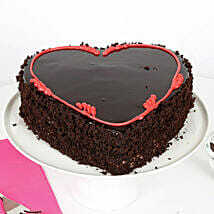 You can get a Valentine cake delivery in Patna to make this day a memorable one. The awesome taste of chocolate truffle, black forest, white forest, red velvet cake, butterscotch, New York cheesecake, vanilla temptation, fruit delight, coffee cake, etc. 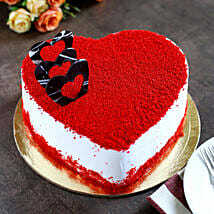 would sweeten and deepen your love relationship for sure. 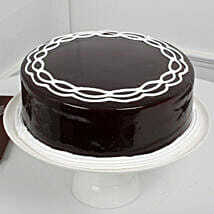 In our online shopping portal, you would find many more types of cakes like fondant, semi-fondant, cream, designer, and tier cakes. 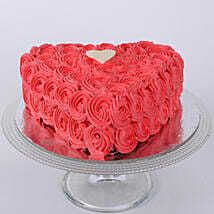 So, all you have to do is search the most thrilling cake and place an order for a cake for Valentine’s Day. Our prime aim is to make your Valentine’s Day celebration a rocking one and with our excellent delivery timing, we assure you a great time ahead. 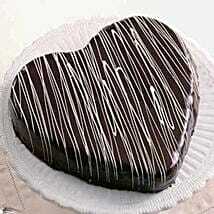 Thus, enjoy a hassle-free delivery of Valentine’s Day cake to Patna and shower immense love on your honey. Well, we have made it really effortless for you to plan an overwhelming surprise by promising you a delicious cake at your doorstep! All of you want is, to let your sweetheart go stunned by your special gift. And being unique in your special Valentine’s Day surprise is something you look for, definitely. 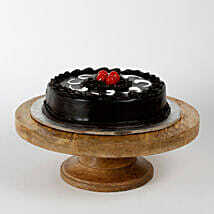 We consider your emotions completely and hence we try to be judicious in delivering your feelings along with cakes. We understand that the most sweet surprises are given at the most unexpected time, thus we also provide you with the mid night delivery option. Also there might be situations when you run short of time. You might as well not have arrangements to plan a stupendous celebration. If this is the case with you, just take a seat back, go online and place an order with us, because we also have an option of same day delivery. So, leave all your worries and enjoy your Valentine’s Day with your loved one. Give him/her as many reasons possible to smile wide. Let his/her heart drop a beat for you, and express your true emotions. 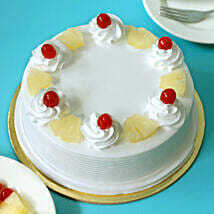 Get a step ahead and choose personalized gifts online along with the cake. 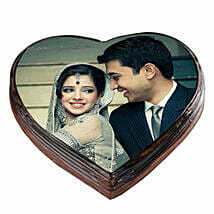 Ferns N Petals is a name of trust among a large number of customers. 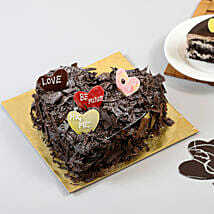 Our wide spectrum of valentine cakes is ready to bring more love and romance to your life. 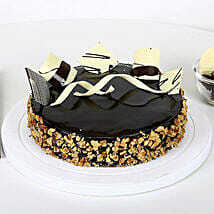 You can opt for midnight and same-day delivery services to schedule a lovely surprise for your sweetheart. You can also send Valentine cakes to Patna using our express delivery option that would provide a delivery within 2 hours of order placement. 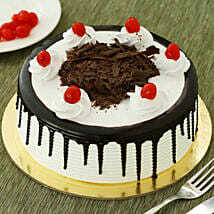 The mesmerizing taste of all our cakes would really thrill your darling. We serve all over India including all the major cities like Delhi, Mumbai, Chennai, Kolkata, Bengaluru, Ahmedabad, etc. Apart from that, international delivery to places like the USA, UK, UAE, Canada, Singapore, Malaysia, etc. The romantic heart-shaped cakes for Valentine’s Day is another sweet and cute way to express your love to that precious person in your life. Along with this tempting cake, you may combine a box of chocolates and a bouquet of flower and embark upon a soothing journey of love through Ferns N Petals.